Today has been an especially delightful day in the land of e-mail checking. I really do have the kindest customers. Here's some notes I received today. You guys really get it. I got a package in the mail yesterday. I opened it and expected to find three bowties. What I did not expect was a personal, handwritten note and wrapping that had obviously been placed there with care and consideration. I just thought you should know that this attitude is what makes people smile and want to come back for more. 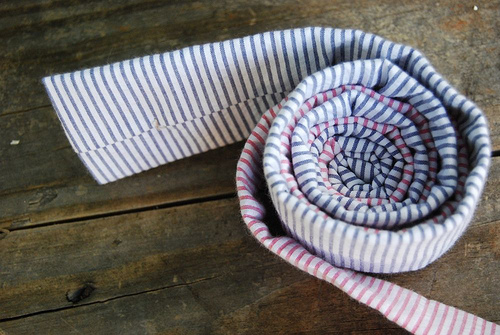 And the bowties are amazing, by the way. OK, I am a huge fan. 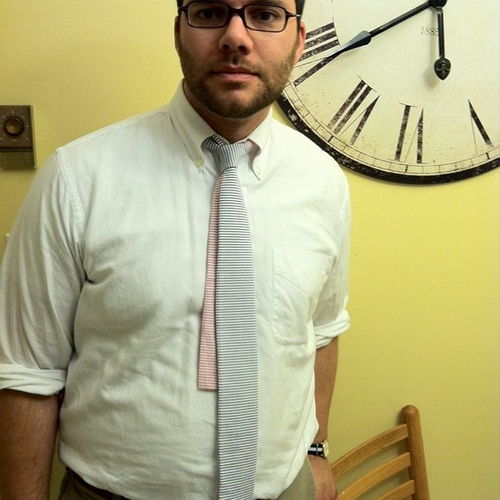 I just received my tie a week or so ago, and I just love it. Splendid product. Great price. And it just feels right when I put it on. Thank you. Your product is smile-inducing. I received my bow tie today, it was packed like a present for myself and the bow tie itself is really beautiful craftsmanship,thanks a lot! 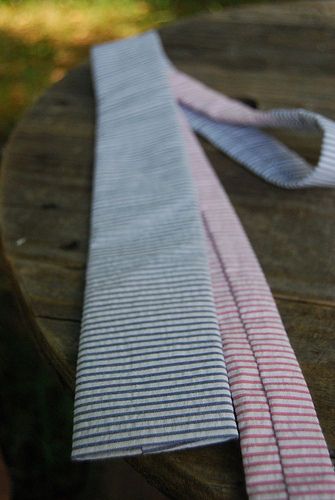 **Photos are a sneak peek of a seersucker neck tie I made for Andy a few weeks back. We'll try to get them on the website soon. Oh man! great tie! I need this in my life immediately. Please contact me when these are available!